one × four = Required Please enter the correct value. Millions of mortgages will be underwater – again. Homeowners will walk away or be foreclosed – again. Losses will ripple through the financial system and the markets – again. On Wednesday, September 26, the NAR released its data on August home sales, which it calls "Pending," but which everybody in the housing market thinks of as "Sold!" It's safe to think of the data that way. This is when the contract is signed, the SOLD sign goes up, and the property is removed from the multiple listing service's (MLS) active listings category. At this point, both buyer and seller have agreed on the price, and both expect to go to closing in six to eight weeks. In all but 5% or 10% of such sales, the contracts do close within that window; very few sales fall through. A $6 trillion time bomb is set to detonate, and the U.S. economy will fall with it. Here’s what you need to know. The NAR has another stat called Existing Home Sales (EHS) which it pretends is the real deal, but which is really just the rubber-stamping of the previous sale contract. EHS is an interesting data point to us only because it shows the ratio of closings to sales. That reveals something about market conditions. Are they conservative and healthy, or frothy and unhealthy? Well, for the past year, they have been frothy, with a higher than usual percentage of sales closing, as banks have pushed the envelope on qualifying both buyers and the value of the properties. Meanwhile, prices are still inflating but sales volume is softening. The Wall Street Journal, sister company of Realtor.com under the NewsCorp umbrella, played the news straight, reporting just the seasonally adjusted headline number with little fanfare or editorializing: "U.S. Pending Home Sales Fell 1.8% in August"
All well and good… Nothing to see here. Meanwhile, CNBC.com noted that sales fell to the slowest pace this year. Both it and the Journal mentioned the 1.8% seasonally adjusted pace, month to month, and a 2.3% year to year decline. So what’s the problem? Seasonal adjustment is basically hocus-pocus. The truth, from the same raw data, is much more revealing… and a hell of a lot more unsettling. Here’s what actually happened – and by “actually,” I mean the raw data collected from a sampling of MLS’s around the U.S. before the seasonal adjustment secret sauce is added. It turns out we can easily judge the strength or weakness of the market by comparing the current month’s growth rate with the same month in years past, and by comparing the current month’s annual growth rate with recent months. In that cold, unfiltered light, August sales were down 5.7% month to month. That’s the worst August performance since 2015. The annual rate of change was a loss of 2.5%. This was in the middle of the range of the past nine months. So the market is weakening, but the pace of weakening has been mild. There’s no sign of collapse… yet. In mid-September, the NAR reported prices for August. The median price rose 4.6% year over year. This is slower than at the beginning of the year when house price inflation was running at a 6% annual clip. Last week the NAR reported prices for August. The median price rose 4.6% year over year. This is slower than at the beginning of the year, when house price inflation was running at a 6% annual clip. But as you can see on the chart, the slowing isn't significant. The inflation trend is still robust. The problem for the market is that sales have begun to decline as mortgage rates have risen. The 30-year mortgage rate is tied to the yield on the 10-year Treasury. The 10-year yield has broken out; it’s just off seven-year highs. Watch out now as mortgage rates move higher! 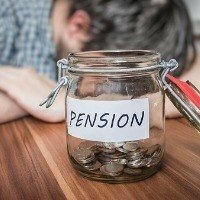 It's finally time for horribly managed pension funds to pay the piper, and by October 31, 2018, seven U.S. funds will go broke and trigger the inception of the biggest financial crisis the world has ever seen… obliterating the retirement dreams of over 10 million hard-working Americans. Your retirement could be in jeopardy. Here's what you need to do now. House prices have been inflating as rates have risen over the past two years. That has created an affordability crisis that will get much worse when mortgage rates break out. There will be fewer and fewer buyers at every price level. Sales will dry up. The 10-year Treasury yield has broken out well above the May peak of 3.12%. In fact, it’s close to multi-year highs. That will lead to a faster and greater rise than we’ve seen so far. The 30-year mortgage rate is already at 5.0% and ticking higher. As mortgage rates rise, fewer buyers will be able to afford to buy at current listing prices. Sales volume will drop sharply, just as it did between 2005 and 2007. Just as from 2006 to 2008, prices probably won’t break until the year after sales begin to collapse; home sellers can be stubborn about that. But once a few start to feel the pressure, the dam will break, the number of listings will balloon, and prices will start coming down. So much for the housing market. But the crisis will become “real” to the financial system, and the markets, when mortgage collateral value disappears. That’s when the pain will start in earnest. No doubt there will be contagion into other overleveraged sectors, particularly hideously overvalued commercial real estate tied to balloon mortgages at super low rates. When those balloons come due, commercial property foreclosures will go through the roof, burdening the lenders with nonpaying mortgages. That will be bad for commercial property REITs. But investors, like you and me, who see this coming with ample lead time stand to make some money. So how can we play the coming housing debacle in the here and now? We do what Wall Street mavericks like Michael Burry and John Paulson did in the last crisis. I’d look at the U.S. homebuilder exchange-traded fund (ETF), the iShares U.S. Home Construction ETF (NYSE Arca: ITB) as a likely short sale target. Unsurprisingly, given what we know is going on in the housing market, ITB has already taken a 26% beating in 2018. As a trader, I’d hesitate to short it here around $33.50. I’d like to see it rally back to the $36 or $37 range or wait until it’s consolidated for a month, maybe two. All the same, I think it’s going to go a lot lower, and I’d hate for anyone to miss out. One tactic for the more aggressive traders among us might be to short a half-position now, and then dive in and short the rest after any kind of rally. In any case, put options aren’t actively traded on ITB, so getting proper price execution would be tough. Short-selling is the way to play this. 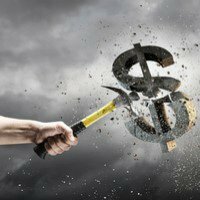 The stock market crash of 2008 is nothing in comparison to the maelstrom that’s brewing now – 2018 will be the year of the greatest economic crisis of the century. Jobs will suffer, the housing market will spiral downward, and millions of American seniors will face bankruptcy. But if you know how to prepare, you’ll be one of the few lucky ones.